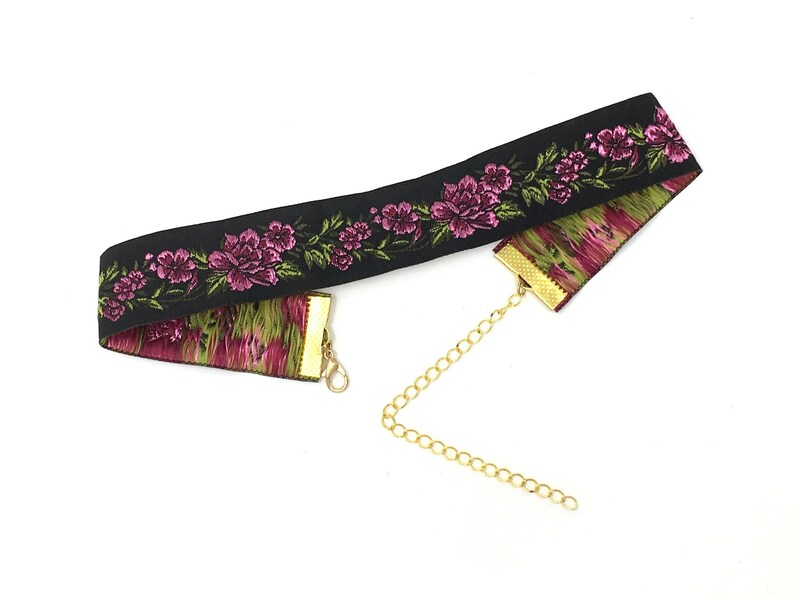 This gorgeous choker features magenta roses stitched on black jacquard ribbon. Measures 11.5 inches with a 4 inch extender chain. Custom sizing available upon request.